Chuck Mangione is, without question, the artist who most influenced my trumpet and flugelhorn playing style. About a million years ago (maybe a little less) I transcribed these charts for some of Chuck’s lesser-known pieces. I can’t recall which music scoring software I was using at the time, except that it was really clunky and difficult to use. And it was free. These three charts still feature at the Mangione Magic website. Unrelated to Bandhub or trumpet transcriptions, I’m a collector of Recordings of Independent Origin (ROIOs). These are musical recordings that have not been officially released. Usually, performances recorded from radio and TV, sometimes planned albums that never saw the light of day, live soundboard recordings made by the sound engineer, and sometimes audience recordings of live shows. Only recordings where copyright is not an issue. As a member of the music trading community, my collection of recordings is documented at etree.org. If you are interested in trading recordings please get in touch with me. I’m only interested in ROIOs, including soundboard recordings, FM, TV broadcasts and the like. Quality is the key, and nowadays I tend to steer clear of audience recordings unless it is something very special. Please don’t contact me about trading anything that has been officially released and is available for commercial/retail sale. I support musicians and their art by purchasing official releases and do not trade in them. My special interest is jazz trumpet players, especially any Chuck Mangione shows that are not yet on my list. But I mix it up with some rock artists, as you can see, calling out Midnight Oil and Hunters & Collectors. 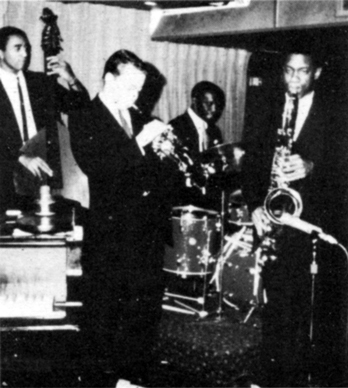 I’m currently searching for recordings of Art Blakey and the Jazz Messengers, from a sparsely-documented period spanning 1965-66 when the lineup included Chuck Mangione, Keith Jarrett, Chick Corea. I’ve no idea if recordings exist, beyond official releases Buttercorn Lady (also released as Get the Message) and Hold On, I’m Coming. Can you assist in this quest, please? I would be grateful if anyone can circulate any Art Blakey and the Jazz Messengers shows from this period. Please let me know if you can!